BASEBALL RECEPTION: Calling all former Mount Vernon baseball players and coaches! 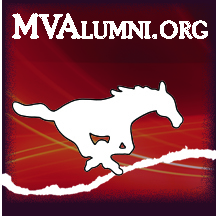 On Friday, May 31, 2019 during the Varsity Reserve/Varsity baseball game against Lisbon, MV Baseball will be hosting a reception for all past Mount Vernon baseball players and coaches. Visit the Alumni-Community Reception area up town, this year IN THE OLD FIRE STATION BUILDING, on Friday from 4-9+ pm and Saturday from 11:30 am-until approx. 7 pm Selling some yummy ice cream and suckers. Play some bean bags. Make the reception area your meeting place and come to view displays, have your picture taken, or grab some cold water. Who will you see there? Teachers and administrators, coaches, invited to attend on Friday evening. Open to All-Alums, district staff, community guests. Breakfast by donation or simply enjoy some coffee and juice. NEWER Breakfast offerings on the menu (added 2017)! Extra handicapped parking available, golf cart shuttles back and forth to your car available. Runners are parking in upper lot by Middle School -- they take off just before 8. Runners are welcome to take part in the breakfast by donation when done. Friday, September 30, 2016 'The Stompers' 60s Music that all ages will enjoy! Friday, July 08, 2016 HERITAGE DAYS ALL-ALUMNI & COMMUNITY RECEPTION - AT A NEW LOCATION!